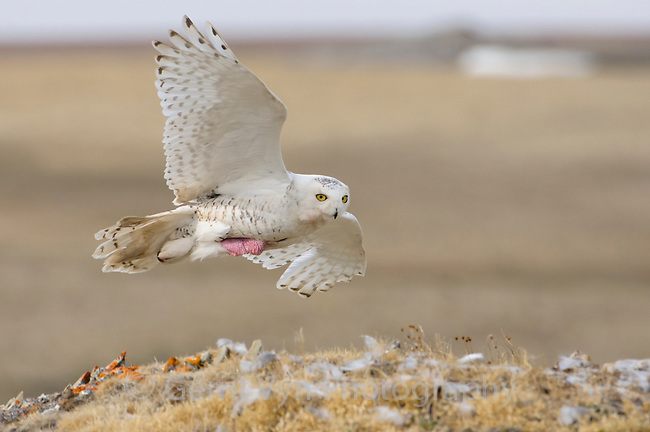 Female Snowy Owl (Bubo scandiacus) returning to nest in flight. The brood patch, an area of bare skin used to warm eggs and chicks, is clearly visible. Bathurst Island, Nunavut, Canada. June.